(Bloomberg) -- The U.S. Treasury Department rejected Democrats’ suggestions that Secretary Steven Mnuchin lifted sanctions on three companies tied to Russian billionaire Oleg Deripaska because of a business relationship with one of the oligarch’s associates. Representative Jackie Speier, a California Democrat, said in a Jan. 23 letter to Mnuchin she was concerned about possible ties between Mnuchin and Ukrainian-born billionaire Len Blavatnik, a business associate of Deripaska’s. Her concerns were echoed by Senator Ron Wyden, an Oregon Democrat, and Representative Elijah Cummings of Maryland, the chairman of the House Committee on Oversight and Reform. Speier said that Mnuchin’s decision to remove sanctions on the aluminum giant United Co. Rusal and two other companies tied to Deripaska represented a conflict of interest. Speier cited media reports that one of Blavatnik’s companies purchased a stake in Mnuchin’s entertainment company RatPac-Dune in 2017, after he became Treasury chief. The Treasury Department disputed those reports. The U.S sanctioned Deripaska last April as part of a package targeting allies of Russian President Vladimir Putin for interference in the 2016 presidential election. He remains sanctioned. Yet Mnuchin did not sell his stake in RatPac-Dune to Blavatnik or any of his firms, the Treasury Department said in a letter to Speier that was dated Jan. 30. His stake, which he was required to sell under an agreement with the Office of Government Ethics before he was confirmed as Treasury secretary, was sold to “a third party unconnected to Blavatnik,” Mnuchin’s legislative affairs adviser Jennifer Bang wrote in the letter, which was released by Treasury late Wednesday. Speier’s letter was based on “fictitious transactions formed on the basis of false news,” according to Bang. Mnuchin’s personal finances may face further scrutiny by House Democrats, who are now in the majority. An annual financial disclosure submitted to the OGE in mid-2017 has yet to be made public, which indicates had not certified the document. The OGE typically signs-off on yearly disclosures within weeks, according to Jeff Hauser of the Center for Economic and Policy Research in Washington. Mnuchin emerged as one of the richest men to serve as Treasury secretary and in 2017 had to divest stakes in 43 investments to avoid conflicts of interest. A 42-page financial disclosure report to the OGE in 2017 revealed that his assets totaled as much as $392 million. Mnuchin has said that the required divestments were costly. He is facing heat from three key House committees for a fuller accounting of his decision to lift sanctions on Deripaska’s companies: Rusal, En+ Group Plc and EuroSibEnergo JSC. 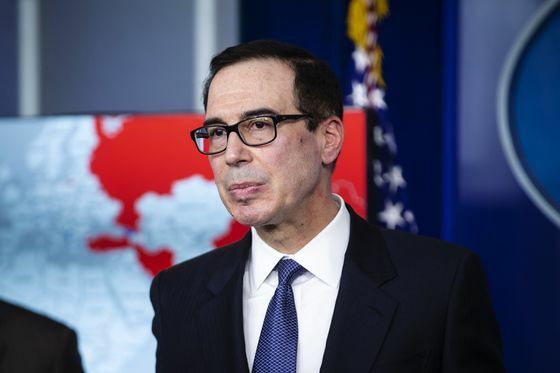 Mnuchin in December notified Congress of his plans, provoking criticism from Democrats who say the Trump administration has been too soft on Russia and hasn’t done enough to respond to Russia interference in favor of Donald Trump in the 2016 election. The Trump administration has been plagued with charges of conflicts of interest, stemming from questions over the president’s businesses, transferring assets to a trust rather than divest. The complex holdings of some of his wealthy appointees, who were required to sell off investments that could pose a conflict, have come also come under scrutiny. Ethics watchdogs and Democrats in Congress have filed numerous complaints against several administration officials.